Great value, really happy with the fit and quality. The cover fit perfectly - we like the weight - looks like it will last for many years. Well constructed and sturdy. Excellent fit. I am very pleased. Terrific product! Easy to put on and off! Great quality and appearance! Worth every penny! This cover is made of quality material. The order was fulfilled very quickly and we are very happy with the product and service we received. Cover was delivered quickly and was as described in the website pictures. It fits perfectly! This cover looks awesome, the day after I received the cover and put it on the fire pit it started raining and I was very impressed to see how well the water beads up and sheds off. It looks Just as great as it sheds water. I am very satisfied with the quality, look, and feel of the product. Now I'm looking to see what else needs a cover. This is the second product I have ordered from the cover store. My last cover was for a chiminea and it still is in good shape after 6 years (it was black and it faded after 2 years, but no tears. Shipped really quick, product as described. Fits great. Looks great. Price great. Shipping cost a bit high. Never ever again will I purchase a cover from a big box store. The Elite Cover is so superior to those hard vinyl composite covers. You will not be disappointed! Great product! Love the elastic bottom! Very nice looking! Quality material and perfect fit. Will come back after the winter to give a follow up review. The shipping cost was outrageous. Most retailers now offer free or reduced shipping for regular delivery. I won't recommend your excellent products for that reason. Eric San Jacinto, Ca. Just what we needed if just slightly larger, but the cover looks so good that doesn't matter - and all at a great price and super service time. Cover arrived promptly and was very high quality. We are 100% satisfied. When we need other covers, we will certainly order them from the Cover Store. Your fireplace cover was exactly what we wanted. One never knows for sure what they are getting, when ordering online, until the order is actually delivered but we were beyond happy with your product.Thank you so much for a wonderful product. Great cover and great fit ! This fire pit cover is the third cover I have ordered from the Cover store. I ordered a grill cover and a cover for a cooler stand that I built from pallets. All three covers have been reasonably priced, promptly delivered, and high quality. Great fit and great quality! Received on time! Will do business here again! Great cover and works beautifully on our 36" x 36" fire pit. Yes it is a bit longer on the sides but the elastic somehow makes it looks like the perfect fit. 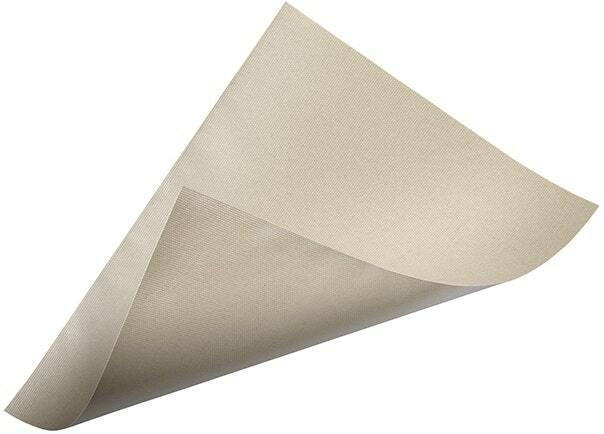 It is soft and flexible, not hard and brittle like a lot of covers. This is our second purchase from The Cover Store and again we are very happy! Excellent products, customer service, and arrives faster than you would expect...what more could you ask for??? Good quality material, nice pull string feature for a more snug fit. All I had to do was throw it over the fire pit and tighten the string. I also sprayed scothguard on it just for extra measure which came in handy since it rained the following day. I highly recommend it to help prolong and protect your fire pit. Good look and great fit. Very pleased with service and product. Will definately recommend you to others! I have purchased several of these elite" covers and they have all been great. Some are now 5 years old and still like new." Looks great. The cover is a perfect fit for our table. Very pleased with the quality of the construction. The cover I ordered was exactly what I needed. Right size, right quality, and right color. Ordering was a breeze and the shipment arrived in great shape earlier than promised. The Cover Store is an outstanding place to shop! We bought this for our large square table and it fits perfectly! Good quality and just as expected. excellent product and fit. Love the fabric and should stand up well in the AZ sun this summer. Time will tell. WSould order again and the price was just right as well. Flexible, lightweight and weather-resistant.Good buy. Fits great!! Quality product!! Will last for several years!! Thank you!! Bought this to cover a custom table that was designed for a Big Green Egg but instead ended up covered in stainless steel next to the egg. The table is approx 37 x 37" and this cover works perfectly. We don't even notice the extra material. Its easy on and off." Better quality fabric then I expected and the fit is great.. the elastic keeps it in place even during a wind storm... very nice. The cover is well made and strong. I am sure that it will withstand the windy winter conditions of the Pacific Northwest without tearing. As an added precaution, I ordered the drawstring option. 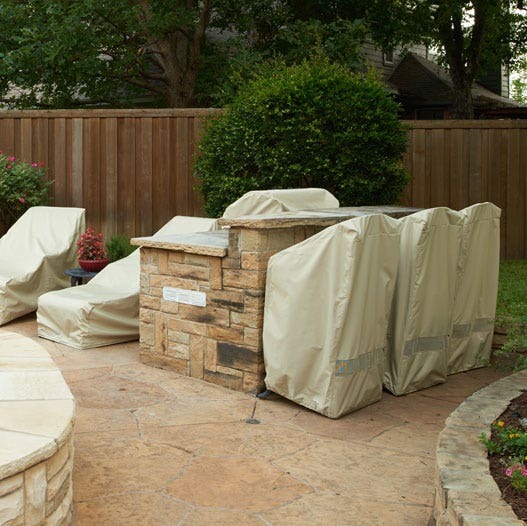 It is hard to find fire pit covers to begin with....and the Cover Store had two sizes! I just put it on so it is hard to tell haow long it will last. However it is VERY well made, good quality, sharp looking and seems to have everything going for it! I like the air vent on the bottom so the wind doesn't use it as a sail and take off into the neighbors yard. Also the draw string at the bottom is good quality and works well. Worth the money! I have had this product for about 2 weeks and it seems to be perfect for our fire pit. It rained yesterday and the cover's water repellent capability kept the fire pit well protected. The cover seems to be high quality and is the correct size. I am looking forward to it providing years of great service.